The monetary repercussions of poor employee mental health are tangible—costing the U.S. economy nearly $226 billion each year in lost revenue. Fortunately, your business can implement programs to help your employees cope with and manage their mental health. Develop an employee assistance program (EAP) that offers screening, counseling and referral services for mental health and other issues. Ideally, the EAP would offer customized services based on the needs of your employees by being responsive to acute and emerging stressors in the workplace. Reassure your employees all health information is confidential and sharing this information will not affect their jobs. Provide mental health screenings and educate your employees on the symptoms of mental health illnesses and the methods of treatment. Encourage employees to be screened, either through their primary doctors or through your EAP, if they have symptoms. Conduct employee surveys and ask about work stressors (such as conflicts with co-workers or managers), job demands (such as time pressure or physical demands), the level of support provided by supervisors, etc. All of these issues can affect the mental health of employees and can give you a baseline for implementing further training or workplace changes. Encourage social support among employees, such as an organized support group that meets regularly. Educate all employees about mental health to reduce stigmas and confusion. Treat people who have mental health problems with respect and dignity. Never label people by their conditions. Provide training on problem solving, effective communication and conflict resolution to support the mental health of employees. Create policies citing appropriate standards of conduct. Include conflict resolution and other training initiatives. 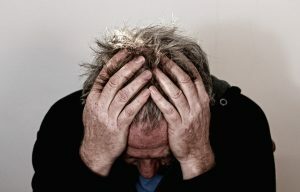 An employee who suffers from poor mental health costs his or her employer an average of $1,685 each year, according to the American Psychological Association. How a workplace is structured can either help or exacerbate an employee’s mental health. By developing helpful programs and communicating with your employees, your business should be able to minimize the impact of poor mental health.